Read my last Christmas feature in full below or the original online here. ’Tis the season to be merry – but I am afraid my books of the year have something of the dark about them. 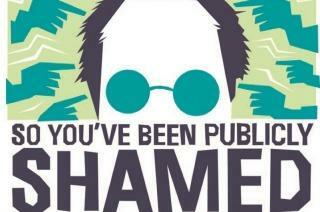 Then there is Jon Ronson’s So You’ve Been Publicly Shamed. Ronson is the best-selling author of The Psychopath Test and in his latest book he tries to understand what happened to the victims of online shaming such as Justine Sacco, who tweeted “Going to Africa. Hope I don’t get AIDS. Just kidding. I am white!” to her 170 or so followers before she got on a plane, only to discover that by the time she got off it she had lost her job and her life. While Ronson uses stories like these as a way to explore the continuities between the online shaming of today and the village stocks of the past, it is perhaps easier just to see them as a warning to be very, very careful what you post, as you are talking to the entire world – and sometimes the world pricks up its ears and listens. Next, Shumon Basar, Douglas Coupland and Hans Ulrich Obrist’s The Age of Earthquakes: A Guide to the Extreme Present was less a book to read all the way through and more a pop art gallery to drop in and out of. The three authors use the language and imagery of the Internet, together with images from more than 30 artists, to explore our digital present and future hell with aphorisms like “I miss getting emails from Nigerian princes,” “Too long to rea” and “The unintended side effects of technology dictate our future.” Get it? 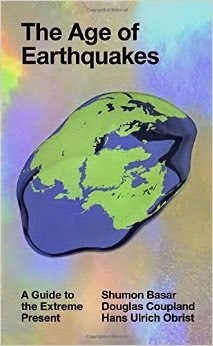 Paul Mason’s Postcapitalism: A Guide to Our Future finally provides some much-needed optimism about our future by arguing that technology, rather than creating a dystopia that enriches the 0.01%, will help us create a utopian techno-socialist future based on the sharing economy that is now emerging. This time the revolution will be peaceful, he says. Promise. 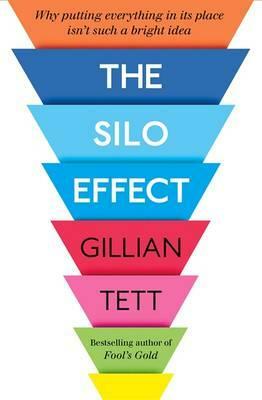 The Silo EffectGillian Tett, US managing editor of The Financial Times and an anthropologist, helps give my books of the year a more positive and practical note with The Silo Effect. In this book – which is very readable given that she devotes a chapter to French sociologist Pierre Bourdieu – Tett first explores how the unwritten rules of culture can imprison us in invisible ways of thinking that she calls silos. One example she uses is how these silos sabotaged Sony’s attempts to follow up the Walkman with a digital music player three years before Apple brought out the iPod. Then Tett looks at how you can bust out of a silo like the geeks did at Facebook, determined as they were not to become the next Sony or Microsoft, by – for example – designing buildings with “rambling zones” to encourage people to hang out with each other. Go tell that to your boss. Finally, for something completely different, try Cambridge classicist Mary Beard’s collection of lectures, papers and newspaper articles called Confronting the Classics. Beard challenges our perceptions of the past with pieces on just how great was Alexander the Great, how Roman was Roman Britain (not very, it turns out), and why the Romans didn’t laugh.